Become our partner now and email us at with your websiteurl and name. 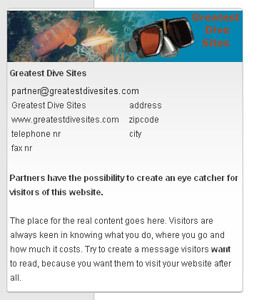 Use the subject indonesia.greatestdivesites.com:OKE as we have a very strict spam policy. We will contact you as soon as possible and provide you with a login and password. 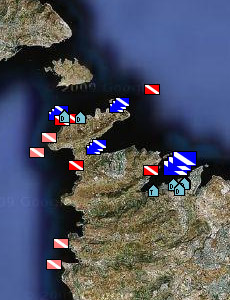 With those you can start creating your PartnerLink, PartnerBox and GooglemapsLink, which will be online immediately.